Predictive FusionTM is powered by MIMReslicer which reslices and reorients supine MRI images to LLD or Lithotomy position during the Radiology review thus addressing registration errors before the procedure. Unlike rigid and elastic fusion, which attempt to correct errors after the ultrasound is acquired, Predictive Fusion removes errors before acquiring the ultrasound. How? 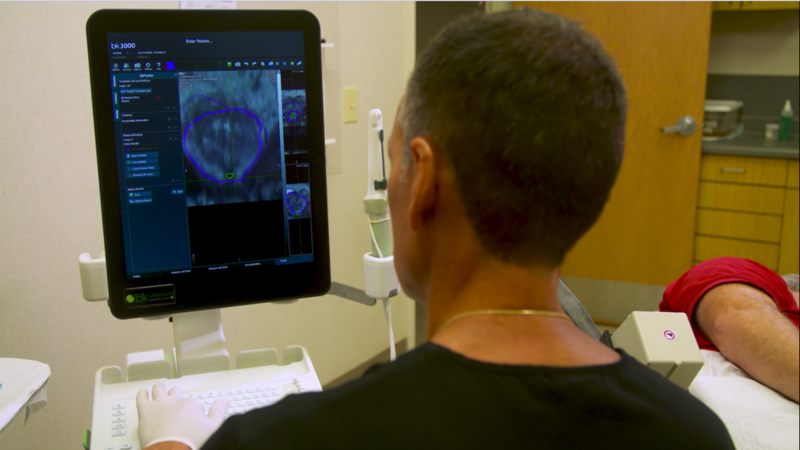 Using a proprietary on-screen tool, the radiologist reslices and reorients the MRI images to the expected biopsy position, as a result, the registration process typically requires seconds. Predictive Fusion allows you to adjust and correct before taking a biopsy and was designed to fit your traditional biopsy workflow, requiring minimal extra steps and providing a fusion you can trust. Today, we have exciting news to share. BK Ultrasound launched the all new bkSpecto ultrasound system in the urology market. The new bkSpecto ultrasound system is the latest member of the BK Ultrasound product family. It comes complete with what you’d expect from a BK system — superior imaging capabilities that enable real-time image guidance with an easy-to-use, mobile platform — plus a few new things. Launching first into the urology market, learn how it will help push the boundaries in your urology practice. Dr. Stephan Kruck is a senior physician in the Department of Urology at University Hospital Tübingen in southern Germany, an institution renowned for its commitment and dedication to emerging medical technology. Dr. Kruck and his team have been using bkFusion - technology that fuses real-time ultrasound images with pre-exam MRI data – since April 2017. In this video, Prostate cancer survivor Allen Wynn describes how he feels that having a doctor who uses cutting edge technology made a difference to him when he was diagnosed with a prostate cancer that required treatment. PSA tests and Digital Rectal Exams are important tools for prostate screening but often raise as many questions as they answer. Systematic biopsies don’t always give enough information to be conclusive. Fusing real-time ultrasound images with pre-exam MRI data gives you better guidance to help accurately target lesions identified in the MRI images, potentially reducing the risk of missing high-grade tumors or under-staging tumors for active surveillance. Watch this video to learn more about the bkFusion system. 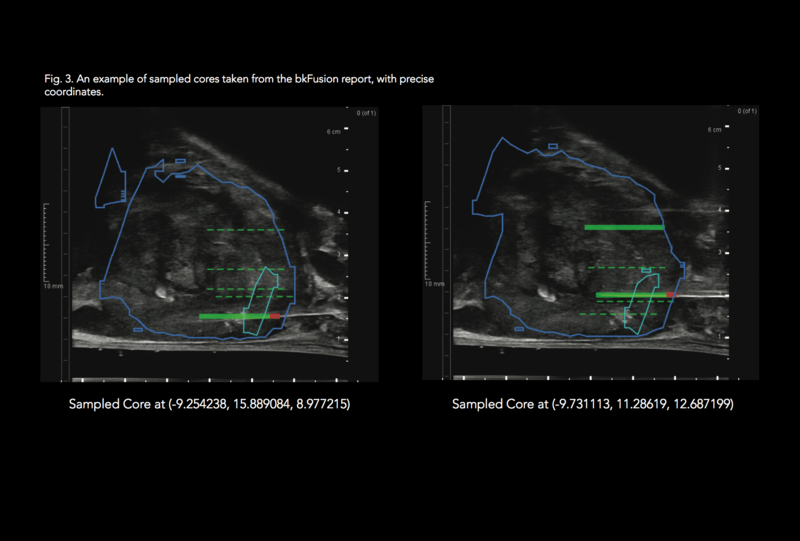 Predictive Fusion™ is the new technology in bkFusion for prostate MRI Fusion biopsies. 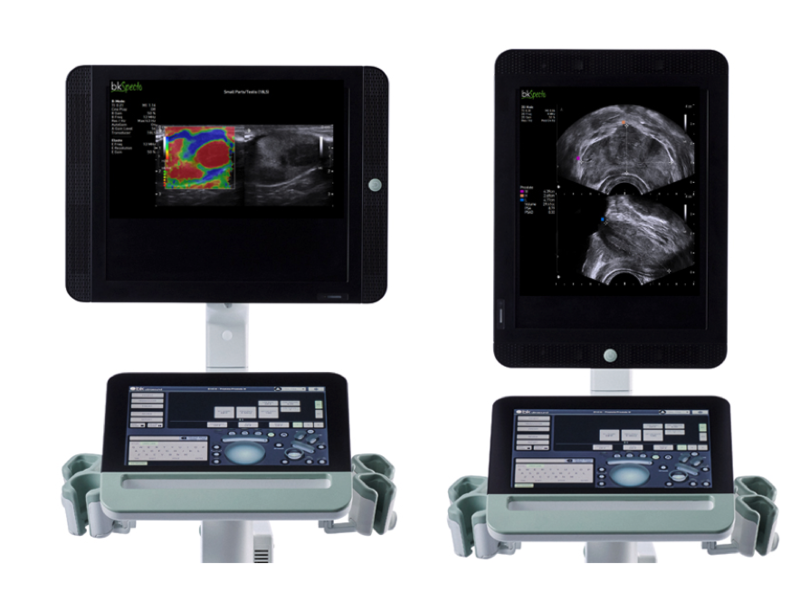 BK Ultrasound has partnered with MIM Software to bring advanced fusion software to urologists. 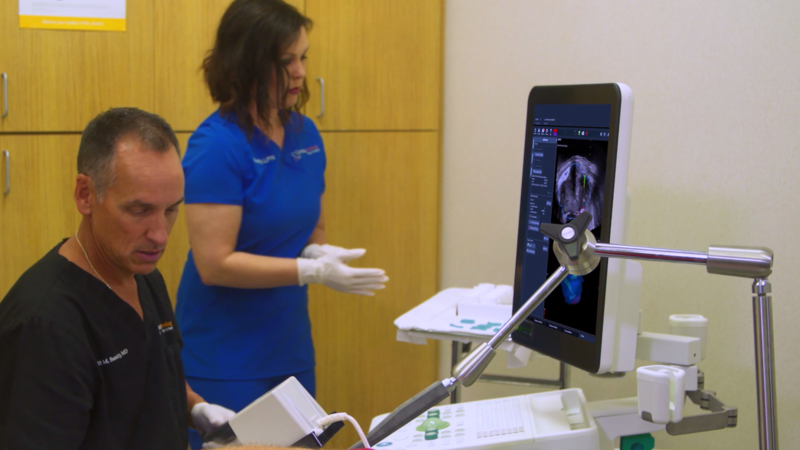 Predictive Fusion™ saves time and reduces your procedure steps by eliminating the need to draw ultrasound prostate contours. Watch this video for an introduction to Predictive Fusion™. In this video, US army veteran Jim Brazell describes how bkFusion technology helped his physician manage his prostate cancer disease process. bkFusion is the seamless integration of the bk3000 and bk5000 ultrasound systems with the best visualization and guidance software available. Watch this video with Jim Brazell to learn more about bkFusion from a patient’s perspective. Dr. Brian J. Moran is Medical Director at Chicago Prostate Cancer Center in Illinois and an experienced practitioner of prostate brachytherapy, having performed thousands of prostate seed implants. He is a frequent speaker at professional meetings and has authored numerous publications in medical journals and textbooks. We recently spoke with Dr. Omer Karim about his urology surgery practice. Dr. Karim is a consultant urologic surgeon in the UK and has specialized in robotic surgery for the last 10 years. 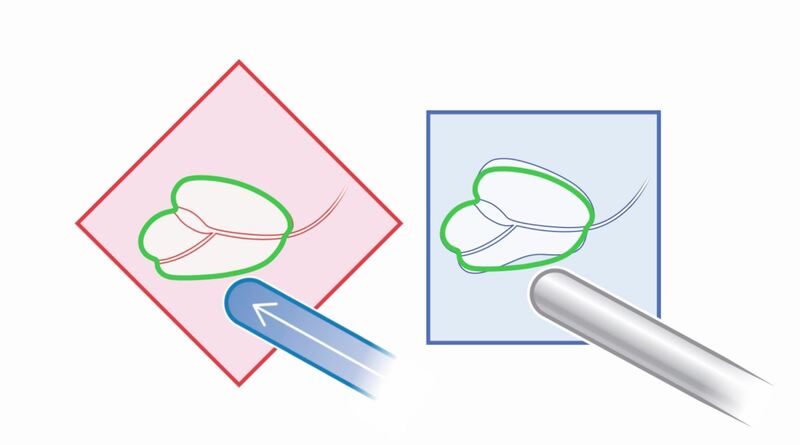 Our new eBook on “Transrectal Ultrasound-Guided Prostate Brachytherapy” offers an introduction to the setup and techniques associated with prostate brachytherapy.